What Role Does Physical Distribution Play in Attracting and Satisfying Customers? 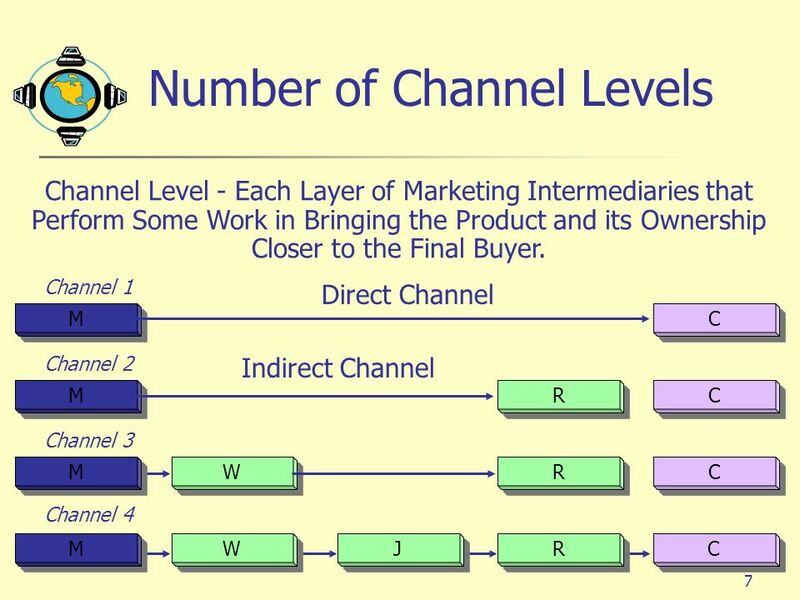 What is the Nature Of Distribution Channels? 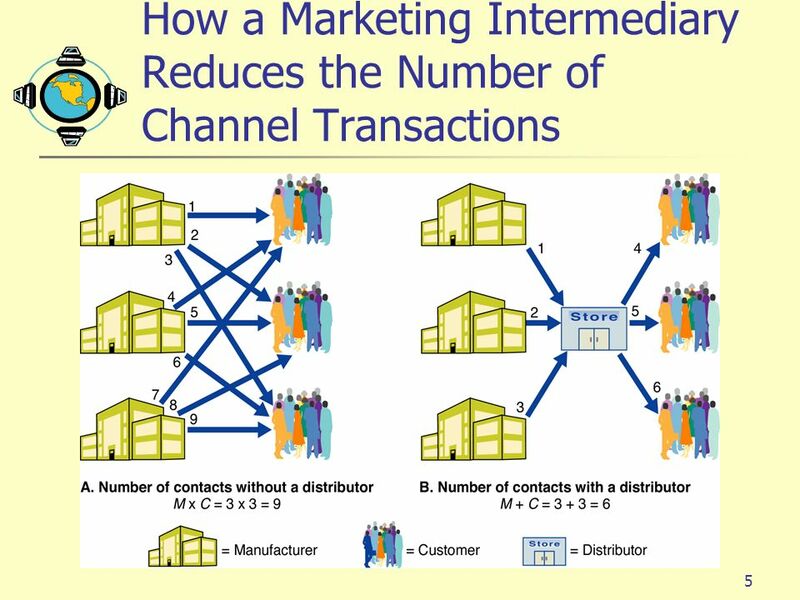 How do Channel Firms Interact and Organize to do the Work of the Channel? 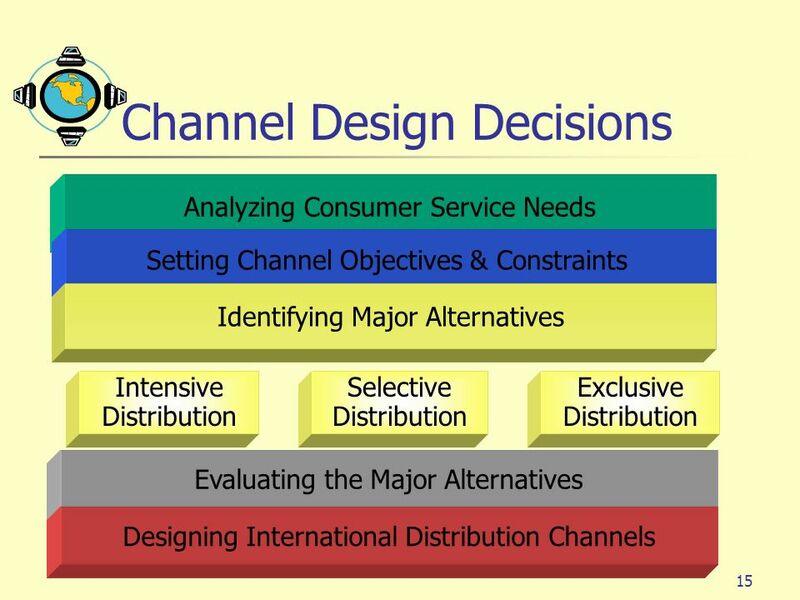 What Problems do Companies Face in Designing and Managing Their Channels? 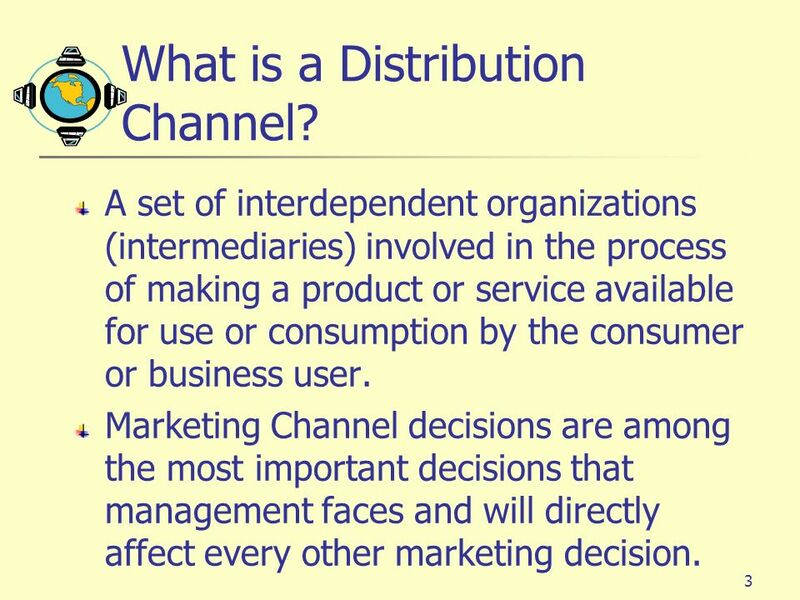 3 What is a Distribution Channel? 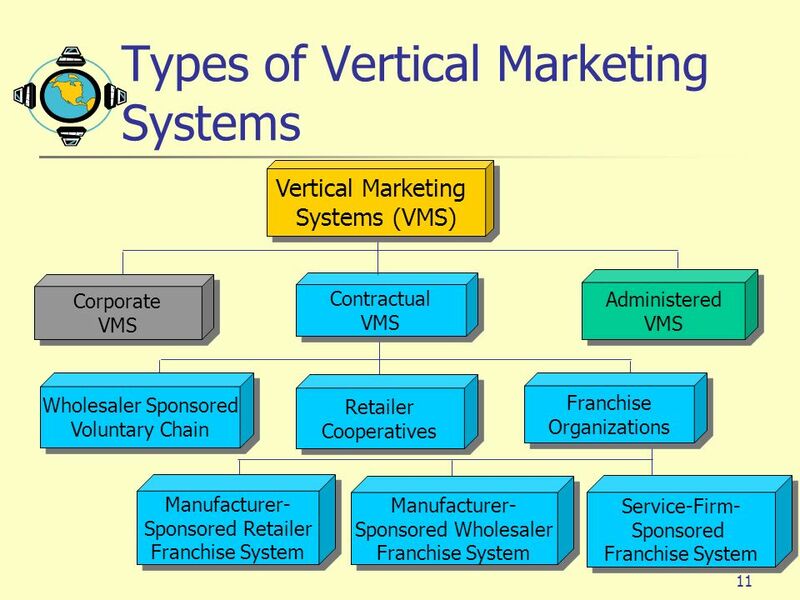 A set of interdependent organizations (intermediaries) involved in the process of making a product or service available for use or consumption by the consumer or business user. Marketing Channel decisions are among the most important decisions that management faces and will directly affect every other marketing decision. 4 Why are Marketing Intermediaries Used? 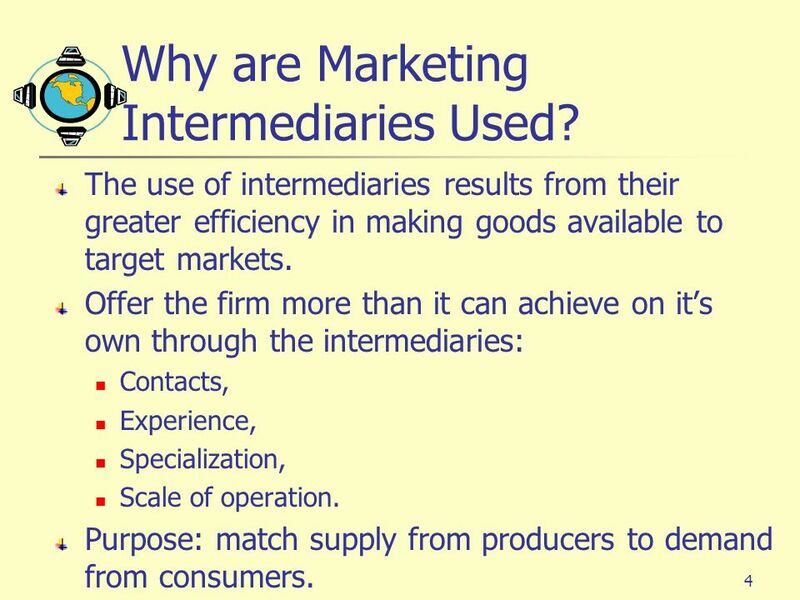 The use of intermediaries results from their greater efficiency in making goods available to target markets. Offer the firm more than it can achieve on it’s own through the intermediaries: Contacts, Experience, Specialization, Scale of operation. Purpose: match supply from producers to demand from consumers. 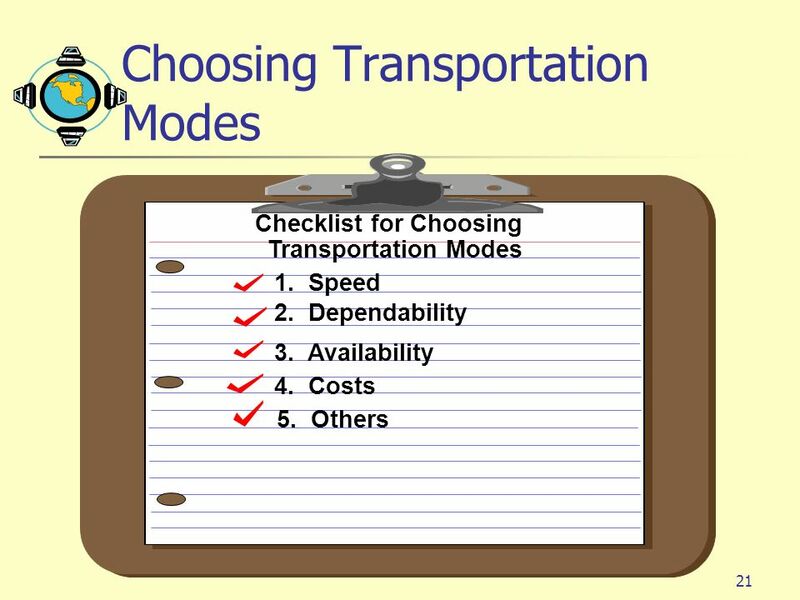 The channel will be most effective when: each member is assigned tasks it can do best. all members cooperate to attain overall channel goals and satisfy the target market. 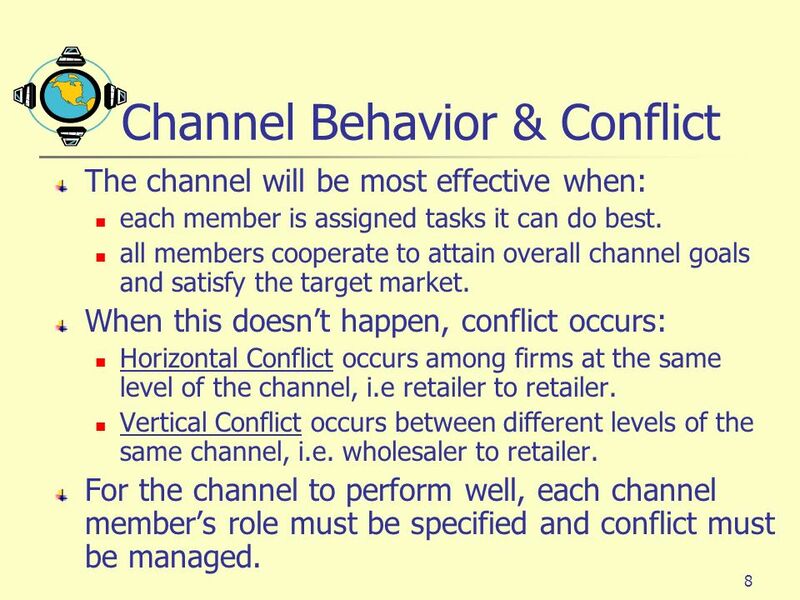 When this doesn’t happen, conflict occurs: Horizontal Conflict occurs among firms at the same level of the channel, i.e retailer to retailer. 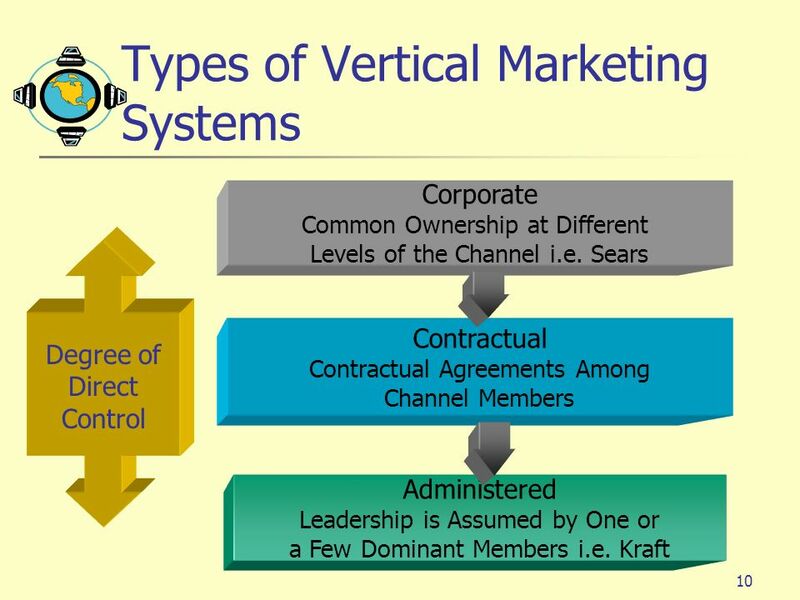 Vertical Conflict occurs between different levels of the same channel, i.e. 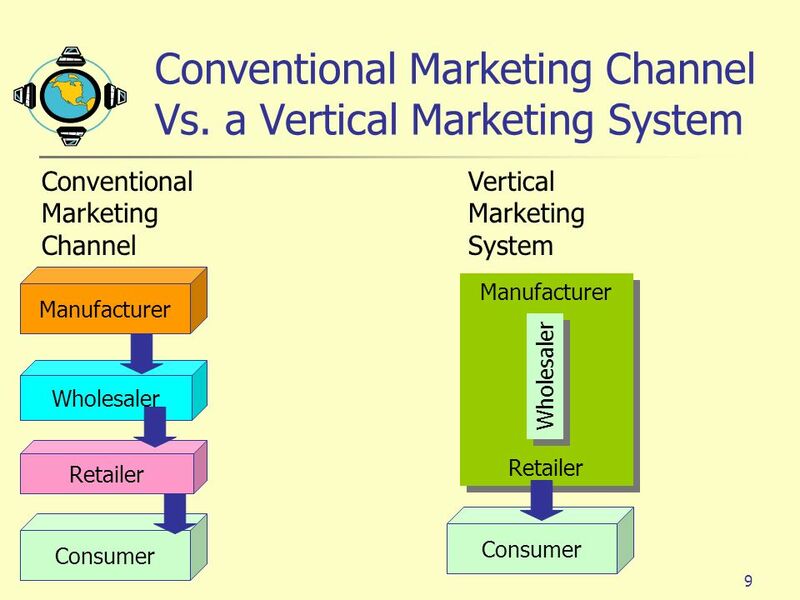 wholesaler to retailer. 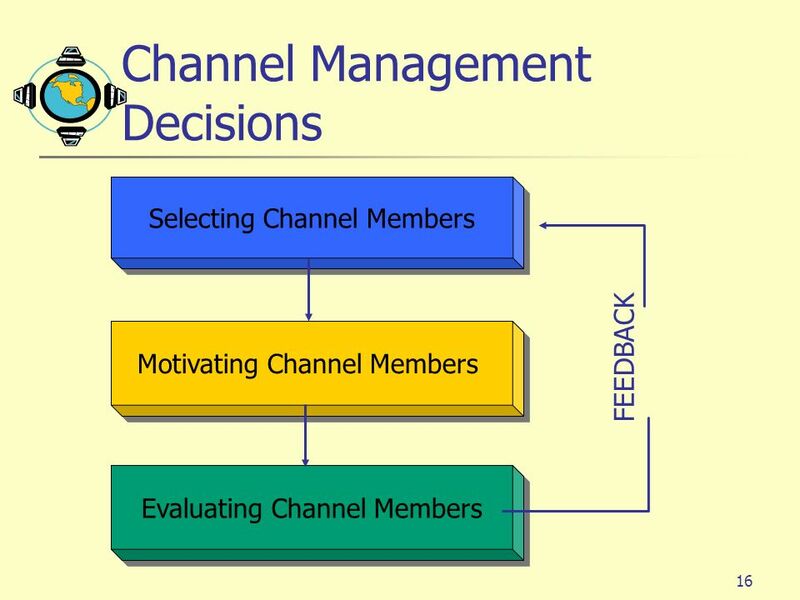 For the channel to perform well, each channel member’s role must be specified and conflict must be managed. 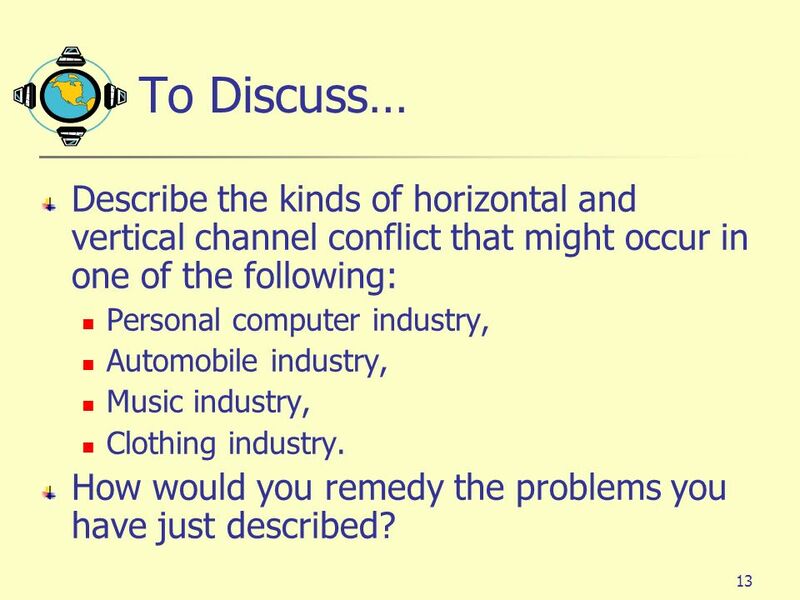 13 To Discuss… Describe the kinds of horizontal and vertical channel conflict that might occur in one of the following: Personal computer industry, Automobile industry, Music industry, Clothing industry. How would you remedy the problems you have just described? 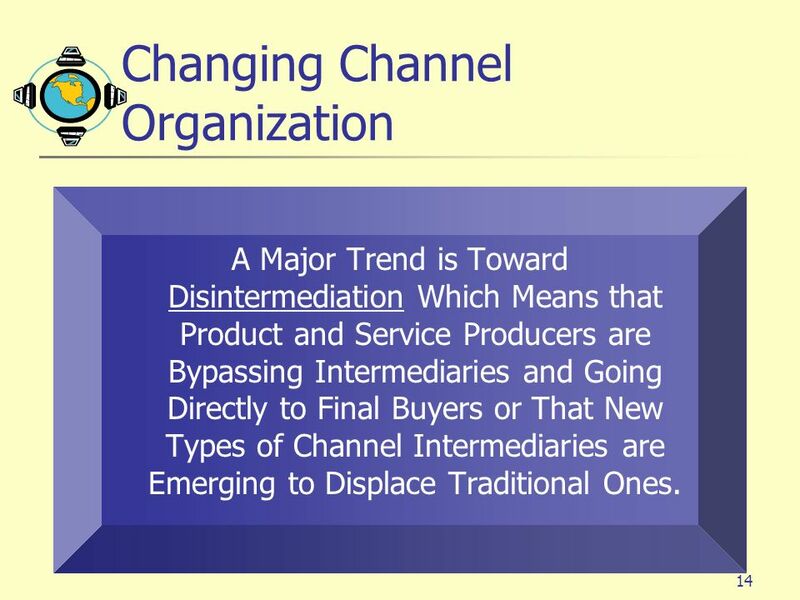 A Major Trend is Toward Disintermediation Which Means that Product and Service Producers are Bypassing Intermediaries and Going Directly to Final Buyers or That New Types of Channel Intermediaries are Emerging to Displace Traditional Ones. 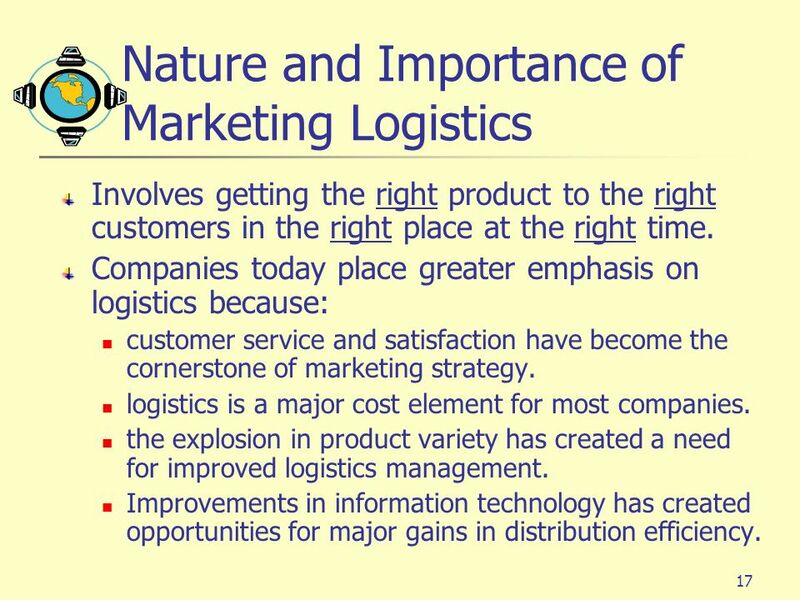 Involves getting the right product to the right customers in the right place at the right time. 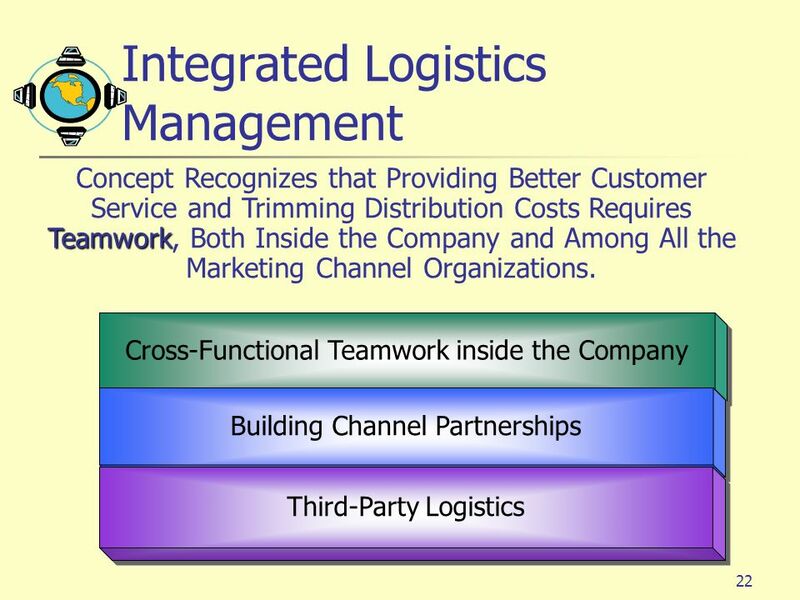 Companies today place greater emphasis on logistics because: customer service and satisfaction have become the cornerstone of marketing strategy. 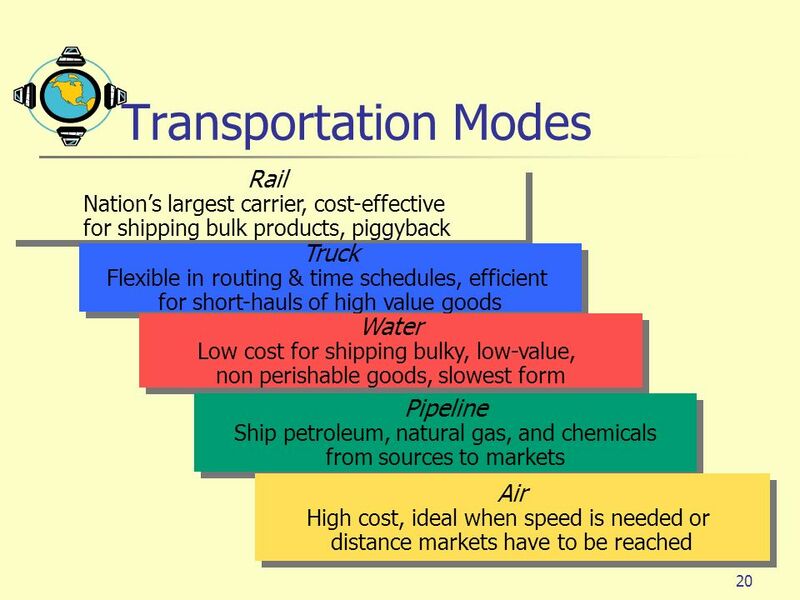 logistics is a major cost element for most companies. 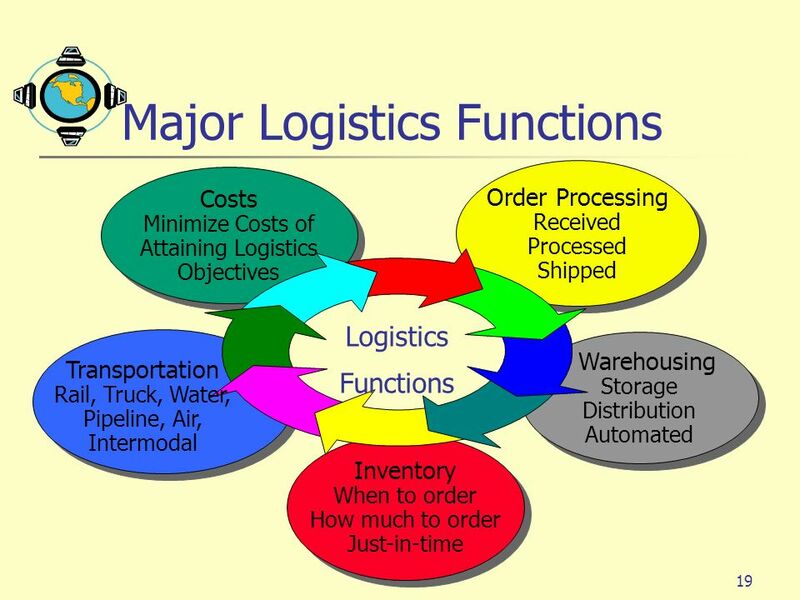 the explosion in product variety has created a need for improved logistics management. 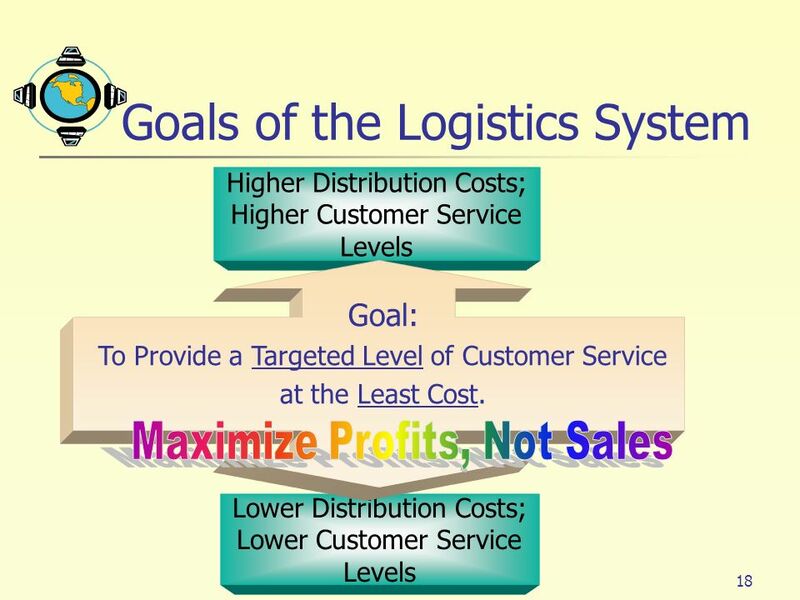 Improvements in information technology has created opportunities for major gains in distribution efficiency. 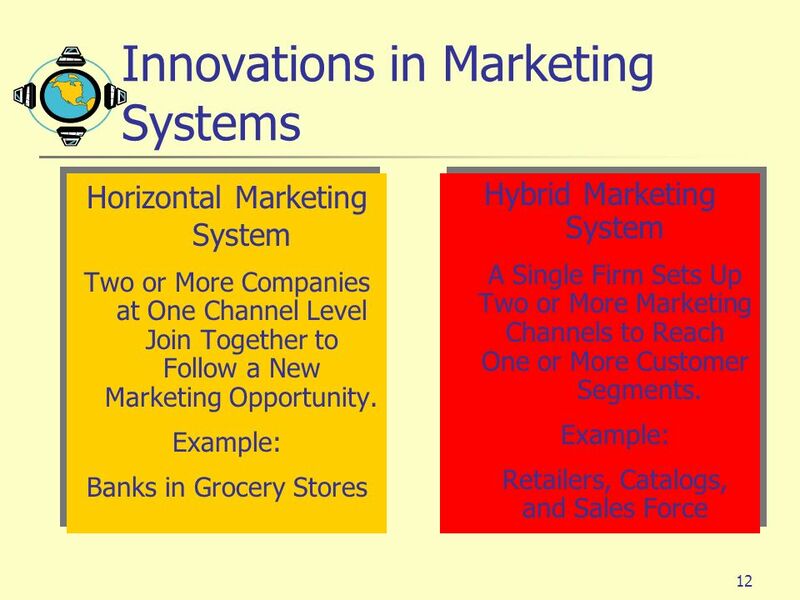 Download ppt "MARKETING CHANNELS (Place)"
Learning Goals Know why companies use distribution channels and understand the functions that these channels perform. Learn how channel members interact. Marketing for Hospitality and Tourism, 3e©2003 Pearson Education, Inc. Philip Kotler, John Bowen, James MakensUpper Saddle River, NJ Chapter 13. 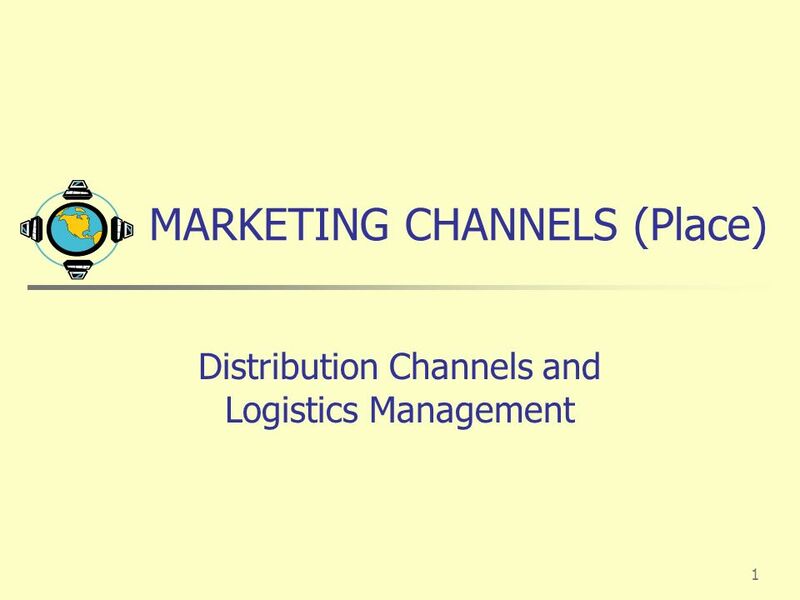 Chapter 8 Distribution channels and logistics management. Chapter 8 - slide 1 Copyright © 2009 Pearson Education, Inc. Publishing as Prentice Hall Chapter Twelve Marketing Channels: Delivering Customer Value.